WATCHING young Afghan girls get their first chance to attend school is a "vivid memory" of a long military career for Lt Colonel Peter Horrocks. The eldest son of Peter and Elaine Horrocks, from Mt Whitestone, Peter attended local schools before joining the army in January 1991. Active service in Iraq and Afghanistan brought home the difference Australia's military presence made to the quality of life there, particularly for the people of Afghanistan. He has vivid memories of watching crowds of young girls being able to go to school for the first time. In fact, the demand for schooling for these young women was so high that the schools had to run morning and afternoon sessions to accommodate them. During his career Lt Colonel Horrocks has been awarded the Australian Active Service Medal with clasps for Iraq and the International Coalition Against Terror, campaign medals for Afghanistan and Iraq, the Defence Long Service Medal, Australian Service Medal and the NATO medal for Afghanistan. 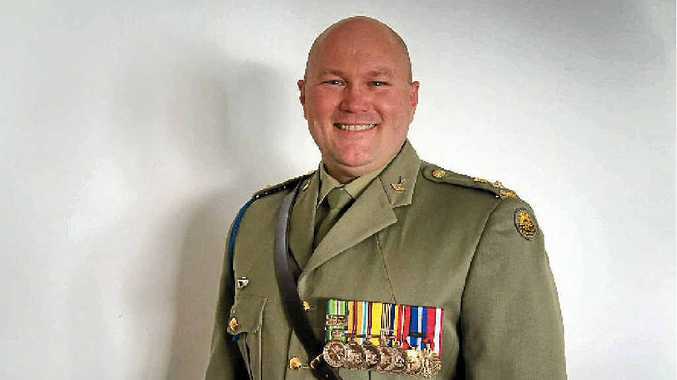 After leaving the ADF recently, Peter continues with the Army Reserve.